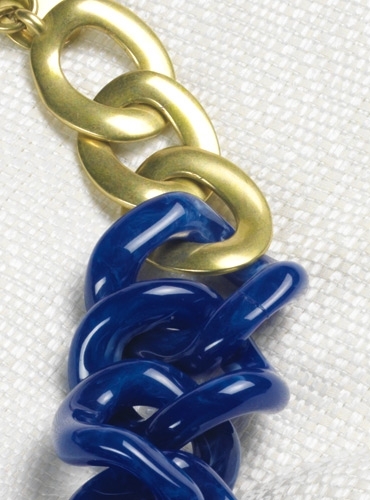 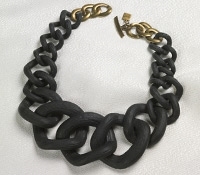 Make a statement in our simple yet bold chucky link necklaces in artfully crafted resin. 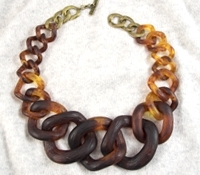 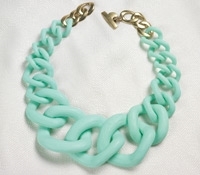 Each necklace features a gold finished toggle clasp and measures 19" with a 5" extension. 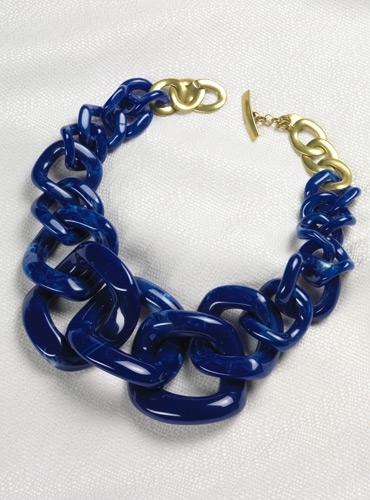 Available in clear, cream, mint, red, black, tortoise, marbled black and white and marbled cobalt blue and white.